I strongly encourage people to socialize, make & maintain friendships, learn to enjoy their own company (i.e., "solitude") by developing and making time for many interests, or at least a couple HOBBIES. 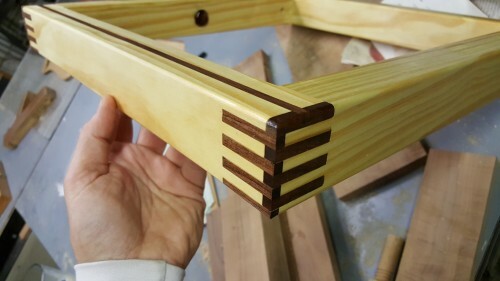 One of my greatest passions is WOODWORKING. The hours fly by when I'm in my woodshop. It is one of my two creative outlets, along with MUSIC. 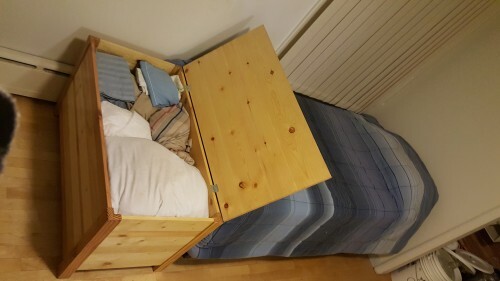 This is a floating shelf to hold an HTPC. It's yellow pine finger jointed after gluing walnut caps on the ends of the members. 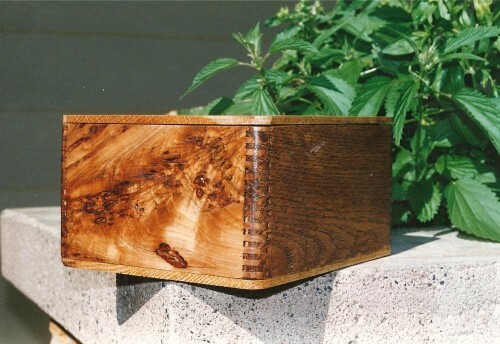 This is an apple wood, crotch grain box I made for my good friends Rick and (his late spouse) Donna Chaltry. 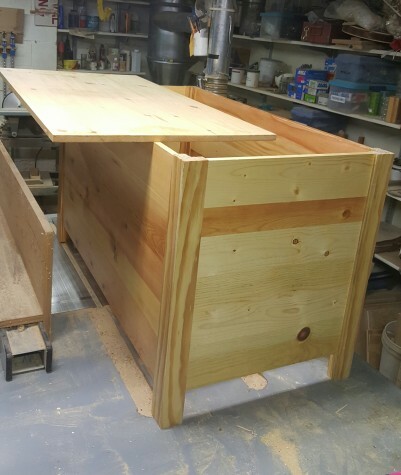 Scraps of pine, supplemented by some culled lumber at Home Depot went together to make this pine blanket chest. Amazing how useful it is to have a place for all those bulky blankets and extra pillows!